The 1969 American Motors Hurst SC Rambler was a unique attempt by AMC to target the die hard "go fast" crowd of muscle car enthusiasts in 1969. AMC's attempt was a considerable success for the company which only planned on producing 500 versions. Total production ended up at 1,512 cars. The SC/Ramber (or Scrambler) was built from a simple formula; big engine in a tiny car. AMC succeeded in creating a memorable performance car that is quickly increasing in modern values. 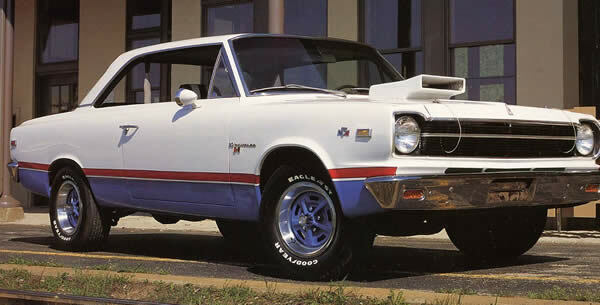 The Hurst Rambler is one of the quickest AMC products ever to come out of Kenosha. 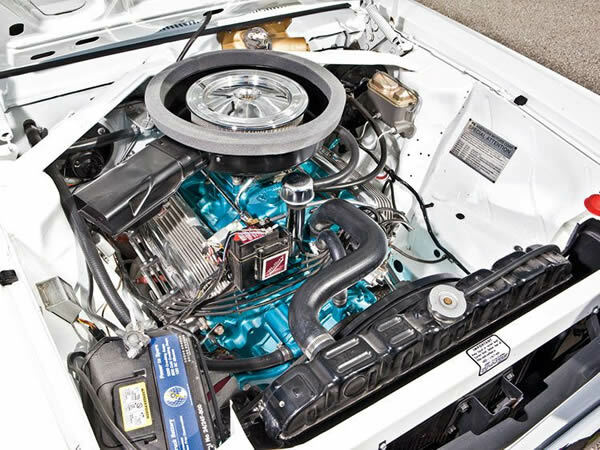 At the heart of the little SC Rambler was AMC's powerful 315 horsepower 390 cid engine. All SC Ramblers were mated with a tough Borg and Warner 4 speed transmission, necessary Hurst shifter, and a 3.54 "Twin-Grip" rear end. 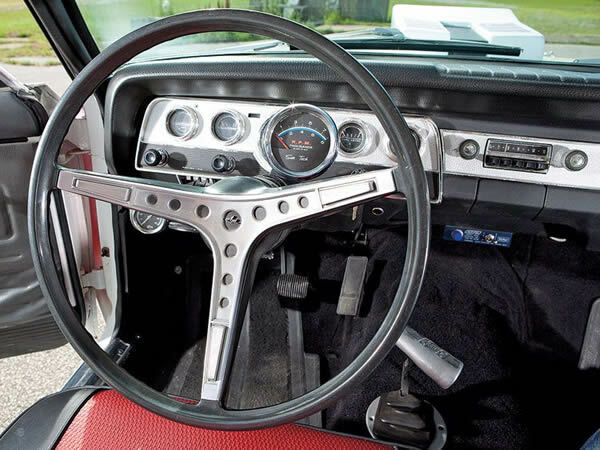 Hurst AMC's received special interior treatments to match the vibrant exteriors including custom colored seats, Hurst shifter, and Sun tachometer. All Hurst Ramblers featured heavy duty shocks and springs, Bendix power assisted front disc brakes , quick ratio steering, heavy duty clutch, glass pack mufflers and upgraded cooling system. Five spoke mag wheels with trim rings and red-striped Goodyear tires were standard on all SC/ Ramblers. 1512 hardtops (approx only 300 in paint scheme A). 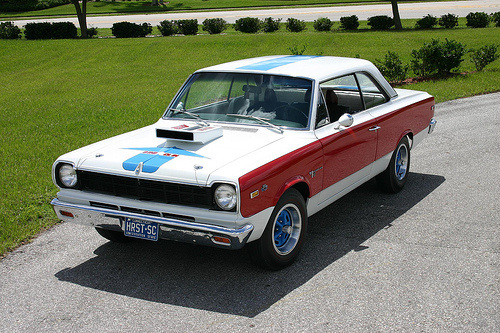 The first 500 cars featured the red center body panels and a blue arrow on the hood with the word "AIR" spelled out on the hood.